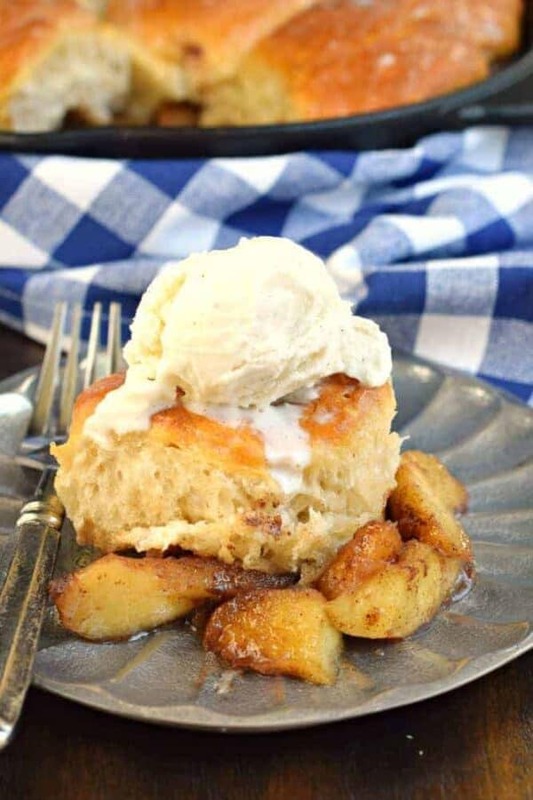 Your house is going to smell amazing when you whip up this easy Skillet Apple Cobbler recipe for dessert! I’ve even got a few shortcuts for you so you can be enjoying this soon! 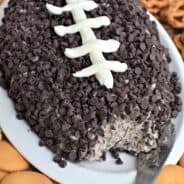 Summer is here and while everyone is making no bake desserts, I’m over here craving comfort food. I can’t help it. 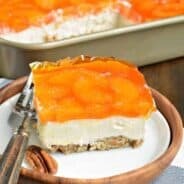 I love apple desserts! Apple Hand Pies, Apple Crumb Cake, Apple Bread…you get the drift. But, since it’s summer, I like to find a few shortcuts along the way, so that I can spend more time outdoors. Thankfully, my partnership with Crunch Pak apples is the perfect fit. Not only do I get to enjoy their delicious apple snacks, but I also can save time with slicing and peeling and just get right to baking! Another shortcut? 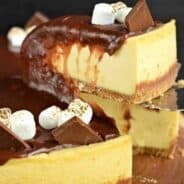 I love using refrigerated biscuits for this skillet dessert. It makes everything a whole lot easier, including clean up! Just throw that wrapper in the trash, no need to clean the counters from rolling out biscuit dough. 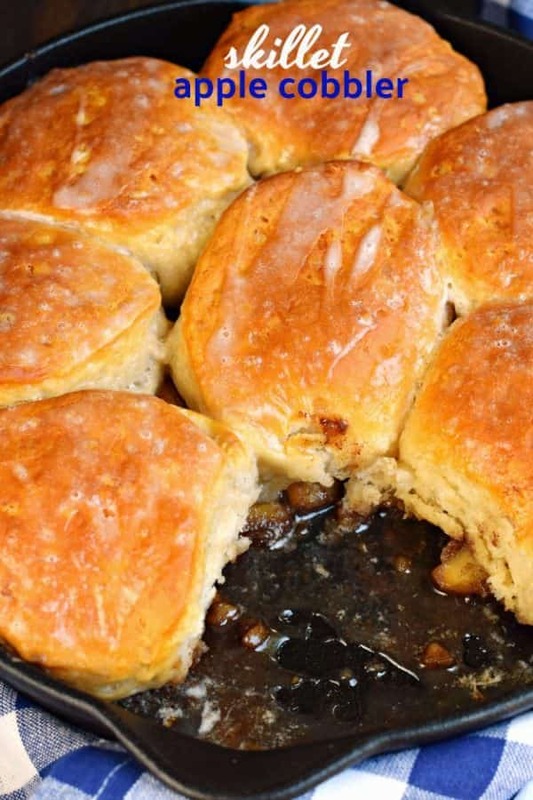 However, if you prefer biscuits from scratch, you can totally do what works for you! Start with a clean cast iron skillet (or a skillet that can go from stove top to oven)! Using Crunch Pak sliced (and peeled!) apples, just toss them into your hot skillet with the butter, cinnamon, nutmeg, brown sugar, and walnuts! 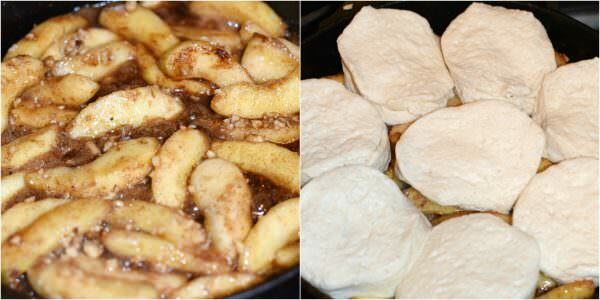 Top the apple mixture with a roll of refrigerated biscuits. The big and fluffy kind! Send the skillet to the oven to bake! While the apple cobbler is baking, have another cup of coffee, and whip up a little glaze. I know what you’re thinking, more sugar? The answer is always yes. 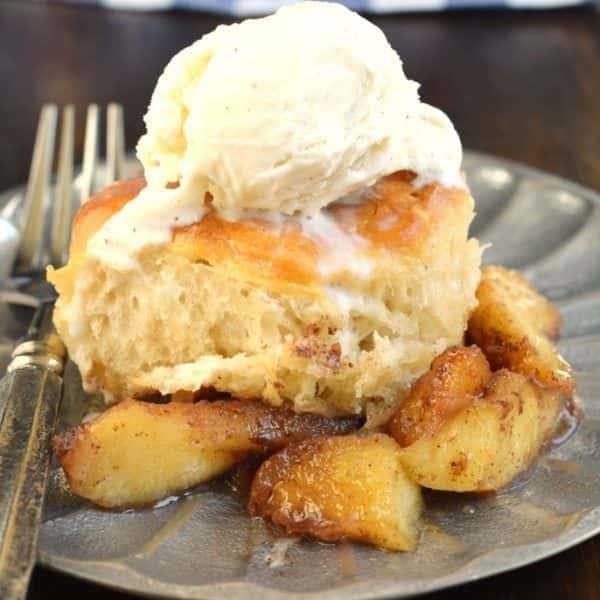 Adding a sweet glaze is perfect to this cobbler since the refrigerated biscuits are so big (and not sweet at all). Trust me on this! 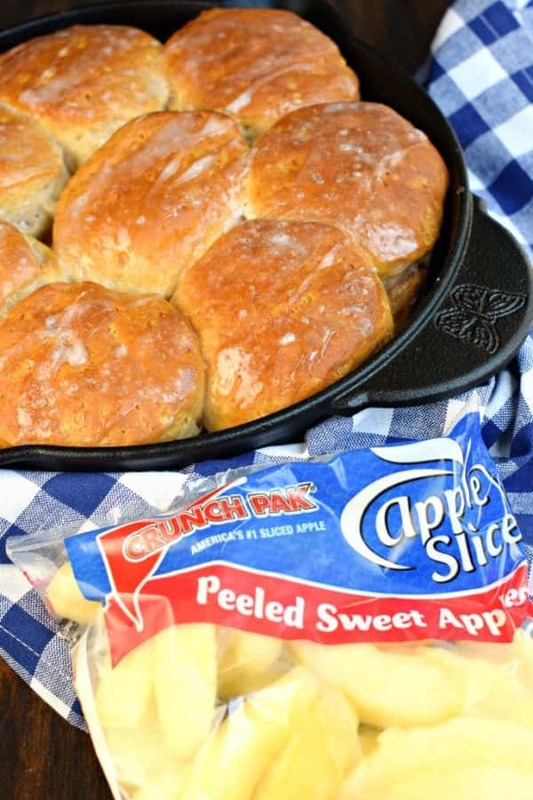 Your house is going to smell amazing when you whip up this easy Skillet Apple Cobbler recipe for dessert! I've even got a few shortcuts for you so you can be enjoying this soon! Over medium high heat, add butter to a 10-inch cast iron skillet. When melted, toss in sliced and peeled apples, cinnamon, nutmeg, brown sugar, and walnuts. Simmer for about 6-8 minutes over medium heat, stirring occasionally. Top apples with biscuits, spacing the 8 biscuits evenly over the mixture. Bake in a 350°F oven for 25 minutes. While cobbler is baking, whisk together powdered sugar and milk into a thin glaze. 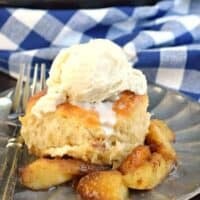 Remove apple cobbler from oven and immediately drizzle glaze over biscuits. Serve hot with ice cream. ENJOY! I could totally eat a full skillet of this! 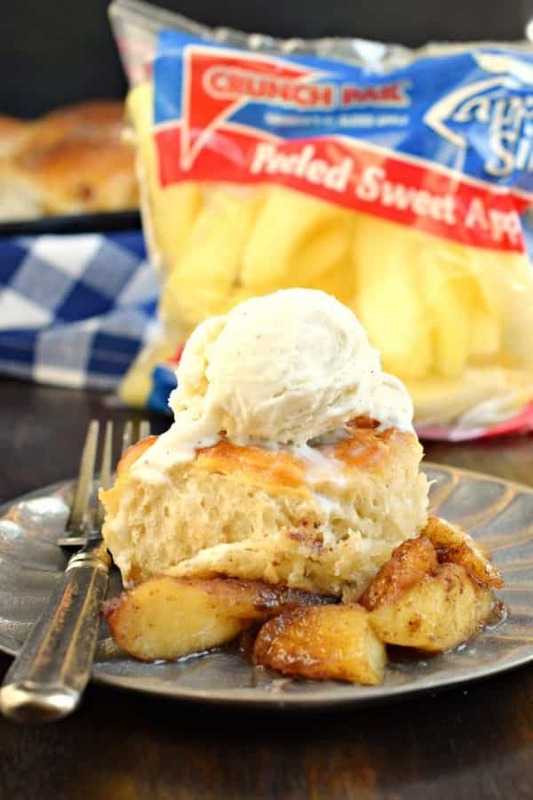 I love pre-cut apples for snacking, but they do make dessert-baking SO much easier, too! Promising ingredients ! Will do this version definitely ! Thank you so much !